CSD works at the forefront of developing effective methods, tools, and approaches for tackling complex issues such as corruption, trans-border organised crime, and radicalisation, including violent extremism and terrorism, all of which are pertinent to countering weapon proliferation and strengthening disarmament efforts and policies within the European Union. CSD has extensive expertise in the analysis of illicit markets and smuggling practices. Collaborative work in this area includes joint initiatives with the South Eastern Europe Clearinghouse for the Control of Small Arms and Light Weapons (SEESAC), among others. Since 2012 CSD serves as the Methodological Coordinator of the largest indigenous network of over 40 civil society organisations (CSOs) and think-tanks from the Western Balkan countries, Romania, Moldova and Turkey – Southeast European Leadership for Development and Integrity (www.seldi.net), working on good governance and anti-corruption and supported through the years by grants from the European Commission (DG NEAR) and other international organisations. Dr Tatyana Novossiolova, Research Fellow, Law Program. ognian.shentov@online.bg Dr Ognian Shentov is Chairman of the Center for the Study of Democracy since the organization was founded in late 1989, He is also co-founder and Chairman of the Applied Research and Communications Fund, the leading Bulgarian innovation policy and research institute established in 1991. Dr Shentov has worked on a variety of international projects on institutional reforms, anti-corruption, and countering organised crime. He has written and edited a number of publications on the issues of transition to democracy, institutional reforms and soft security threats. ruslan.stefanov@online.bg Ruslan Stefanov has more than 15 years of experience in delivering high quality research and civil society solutions to governance problems in Southeast Europe and in Bulgaria. He is the knowledge coordinator of the Southeast European Leadership for Development and Integrity (SELDI.net), the largest indigenous regional anticorruption network of 40 civil society organizations from the Western Balkans and Turkey. Ruslan Stefanov has been a regular contributor to European Parliament briefings on corruption, organized crime, and the hidden economy in Central and Eastern Europe. He has participated in the work of the UNODC Expert Group for Anti-Corruption Coordination. maria.yordanova@online.bg Dr Maria Yordanova joined the CSD in the late 1998 and has since directed the CSD Law Program. She has led the Center’s law drafting efforts aimed at approximation of Bulgarian legislation to acquis communautaire and modernising judiciary, as well at establishing and supporting contacts between the Bulgarian legal community and government agencies. Other areas of Dr Yordanova’s specialization include the development of the legal and strategic framework of anti-corruption for Bulgaria, including regional cooperation. She has also been a member of the CSD’s task force on electronic signature. tatyana.novossiolova@csd.bg Tatyana Novossiolova is Research Fellow with the Law Program of the Center for the Study of Democracy, Bulgaria. She is experienced in project management, academic and policy research and analysis, and curriculum development and training delivery both as part of higher education and continued professional learning. Tatyana’s main research interest includes the cross-cut between international law and policy sustainability with a focus on cultures of conduct and professional responsibility and integrity. A particular focus area of research is the impact of scientific and technological advancement on the existing regulatory regimes and the various ethical, social, and security concerns including disarmament issues arising therefrom. dimitar.markov@online.bg Dimitar Markov works in the fields of human rights, criminal law and judicial reform. He is involved in the research on the use of information technologies for judicial case management and in the elaboration of indicators for measuring public confidence in criminal justice. He has also done studies on the legal framework of cybercrime, the protection of victims’ rights and the fight against organized crime and corruption. Dimitar Markov is coordinating the work of CSD as a national focal point for Bulgaria of the EU Fundamental Rights Agency’s research network, FRANET. atanas.rusev@csd.bg Atanas Rusev works on key projects of the Security Program of the Center for Study of Democracy related to organised crime, criminal markets and the utilisation of confiscated criminal assets. rositsa.dzhekova@csd.bg Ms Rositsa Dzhekova is Coordinator at the Security Program of the Center for the Study of Democracy. Her work at CSD is related to crime, corruption, informal and underground economies, asset forfeiture, law enforcement, border security and radicalisation. She provides team coordination and carries out research, data collection and analysis within key EU-funded projects in the area of justice and home affairs. chervenkov@online.bg Chavdar Chervenkov is a career military officer. In the period of 1964-1993 he held a number of positions within the Bulgarian Armed Forces. In 1971 he received an appointment at the Intelligence Directorate of the General Staff. In 1990-1991 he served as head of the Disarmament Inspectorate at the General Staff. Between 1991 and 1993 he was Deputy Chief of the General Staff and headed the Intelligence Directorate at the General Staff. In 1993 for a six-year period he served as ambassador of Bulgaria to Tunisia, meanwhile from October 1994 to January 1995 he held the position of Minister of Interior in the then caretaker government. In the period of 2000-2001 he held the position of Chief of the Political Cabinet of the Minister of Defence. 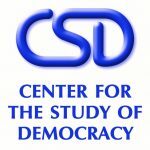 He joined the Center for the Study of Democracy in 2003.
mila.mancheva@csd.bg Dr Mila Mancheva is the Director of the Sociological Program at CSD. Her interests include migration and development, labour migration, transnational migration networks, human rights. The previous work of Mila Mancheva includes policy work in the spheres of counter-trafficking, border management and migrant rights advocacy for the Sofia Mission of the International Organization for Migration and migration research conducted in cooperation with various academic institutions around Europe.